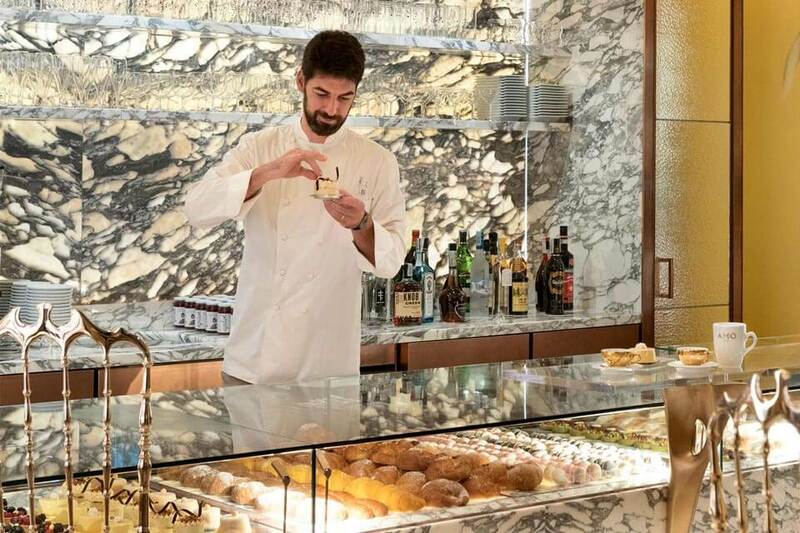 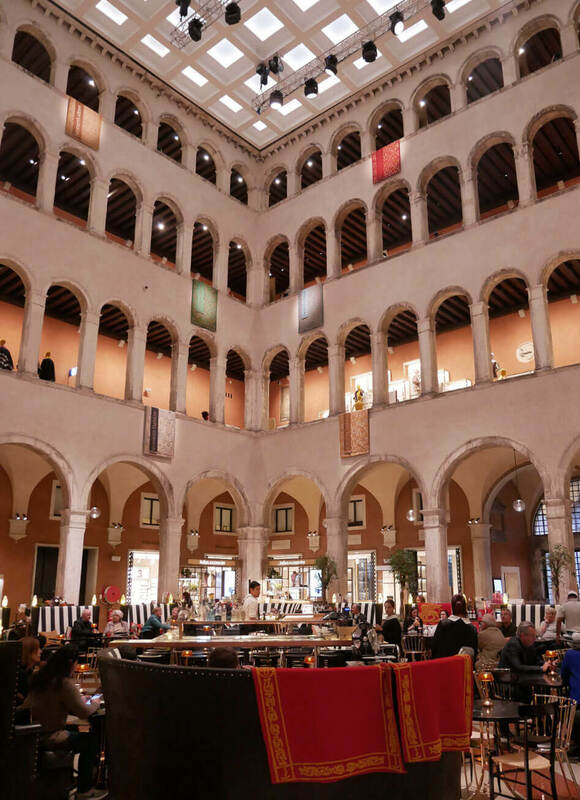 The world renowned cuisine of Masimilliano and Raffaele Alajmo provides purity within the opulence of Venice’s controversial first shopping arcade, housed inside the ancient T Fondaco dei Tedeschi. 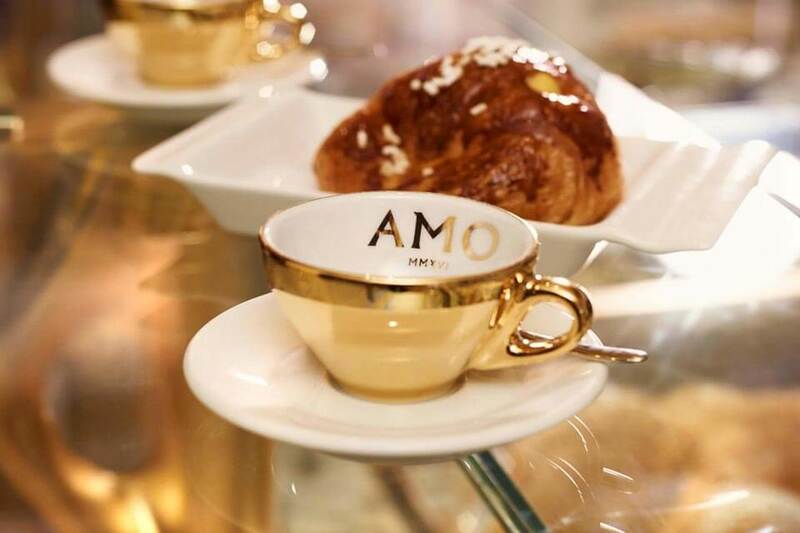 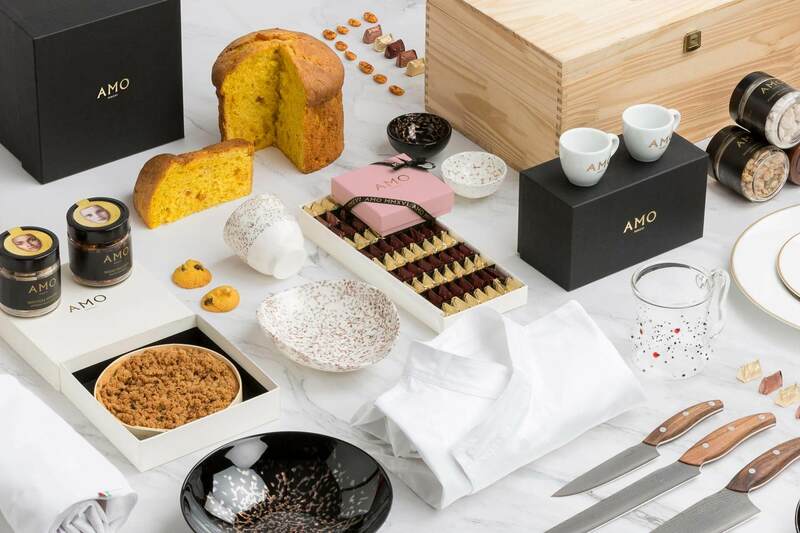 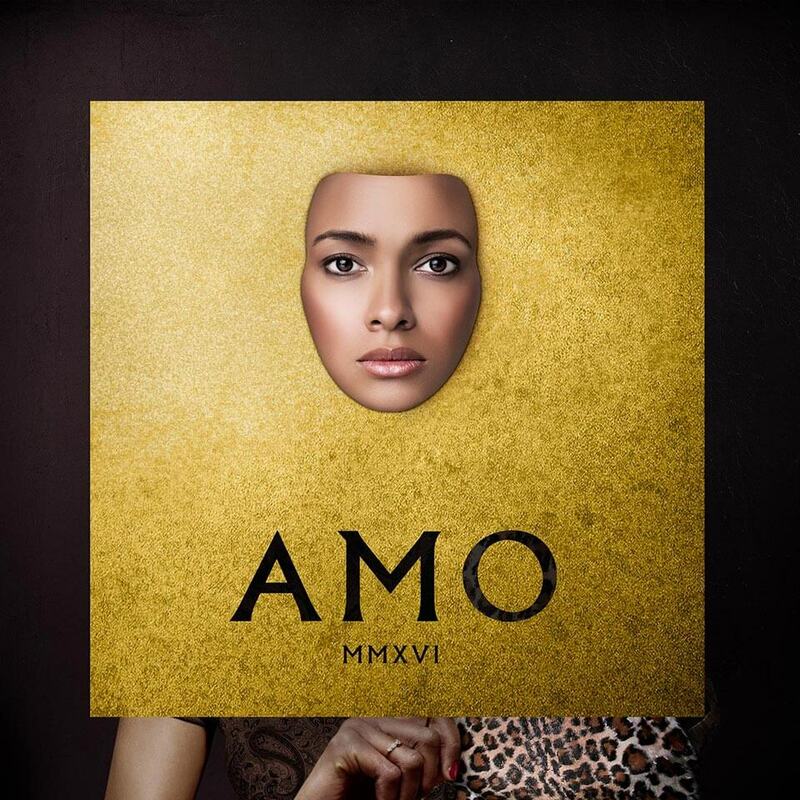 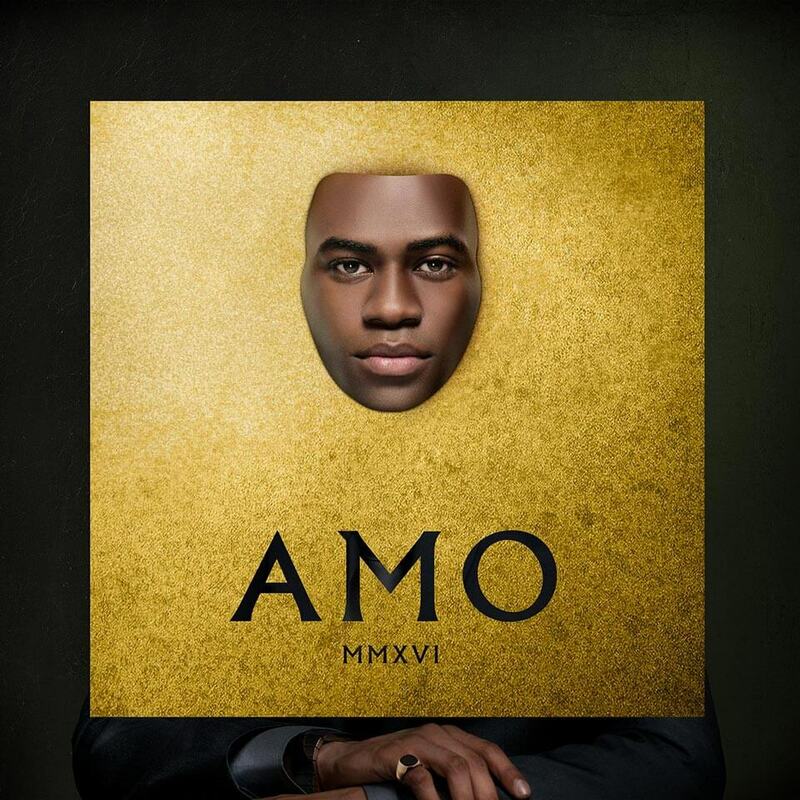 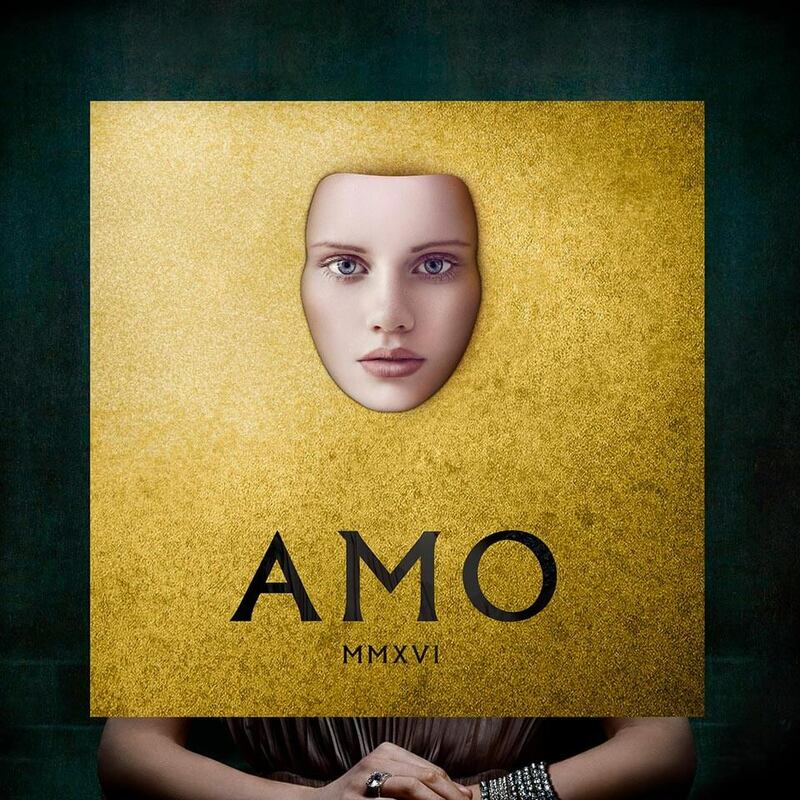 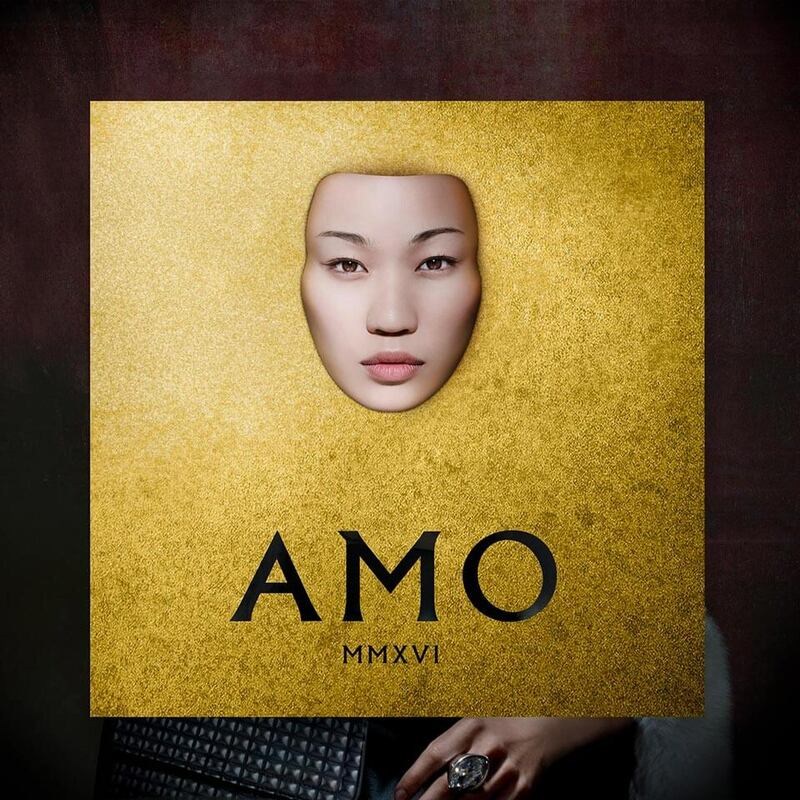 AMO’s identity aims to represent a diverse yet shrinking population within a traditional Venetian elegance but with a provocative, contemporary twist. 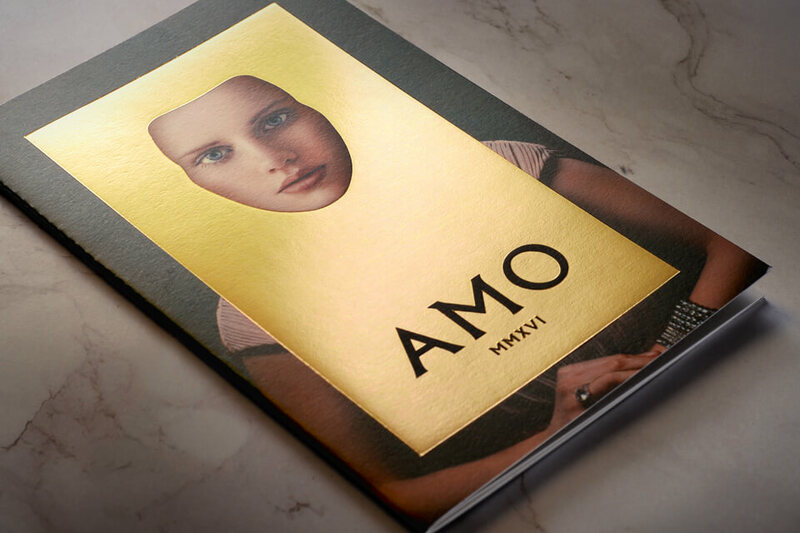 In a surreal subversion of the Venetian mask, the brand identity reveals one’s ‘true self’ through an inverted mask of gold leaf — removing material symbols of status from each portrait — leaving just the purest self. 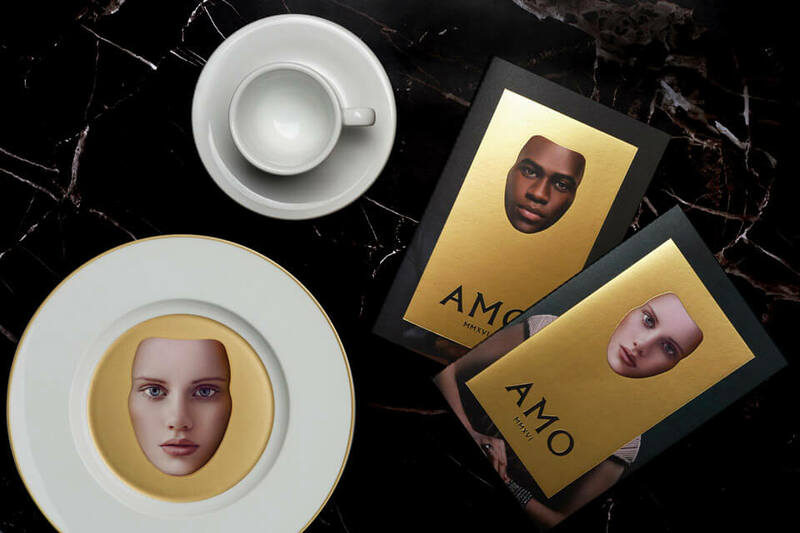 Guests are dealt a tarot-like menu featuring one of five portrait images, and guests’ perceptions of themselves are questioned by the random association of menu with diner. 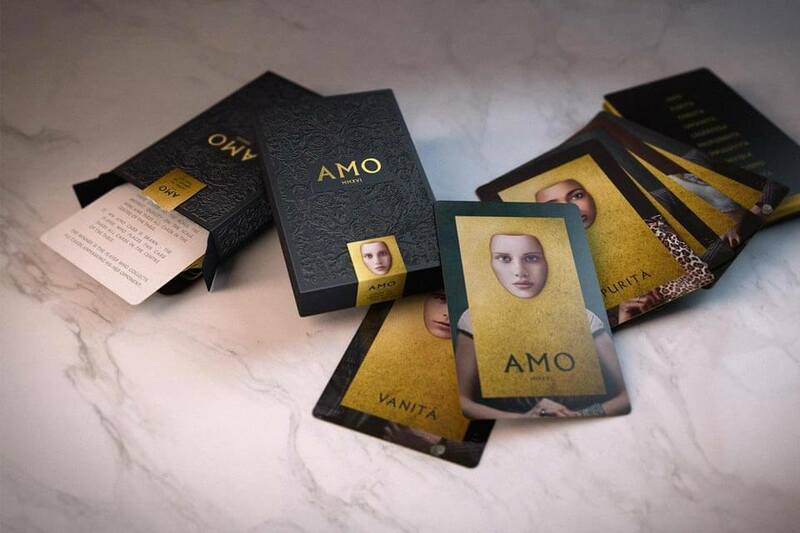 The set of cards are available to collect as a limited edition deck of cards in a game called ‘Smaschera’ (Unmasking), where virtue beats vice and the AMO card takes all. 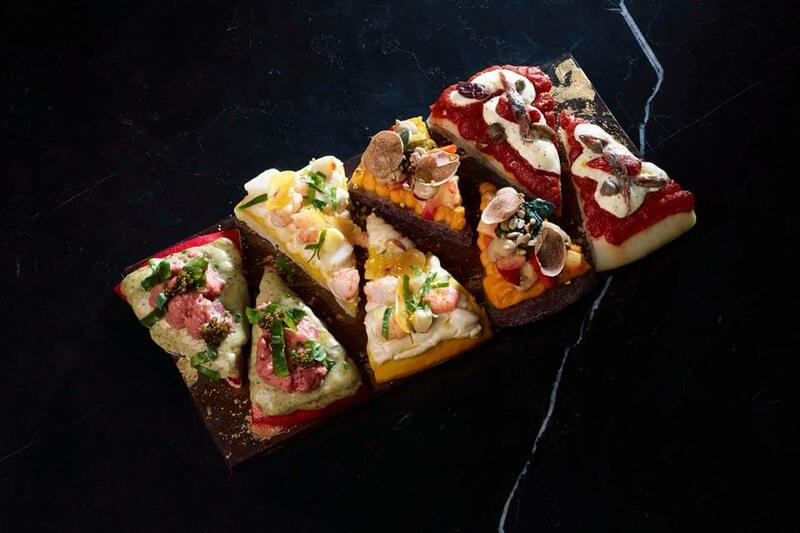 Guests are dealt a tarot-like menu featuring one of five portrait images, and guests’ perceptions of themselves are questioned by the random association of menu with diner. 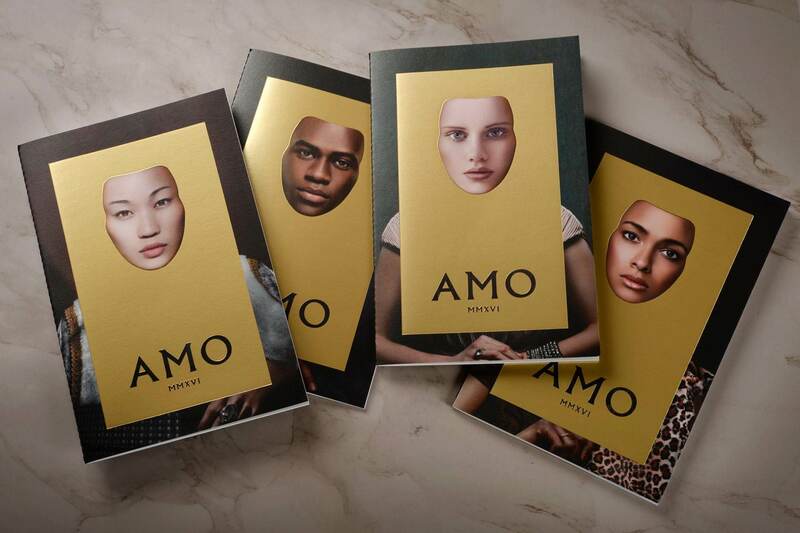 The set of cards are available to collect as a limited edition deck of cards in a game called ‘Smaschera’(Unmasking), where virtue beats vice and the AMO card takes all.